Office Angels - Let us put an angel in your office! "Our Angels Are Heaven Sent"
We are a professional answering/ secretarial/temporary agency located in Northfield Ohio, between Summit and Cuyahoga counties and have been in business for approximately 25 years. Our Executive Business Center specializes in office placement and complete in-house secretarial services. Our business is "unique" since we are capable of either providing you with permanent or temporary office assistance, or we can also complete any secretarial work you may have in our office. We believe in placing dependable, honest and qualified employees and have gained the reputation of working with our clients and finding the right match. Are you looking for an Angel? Click here to fill out a form about your job opening! 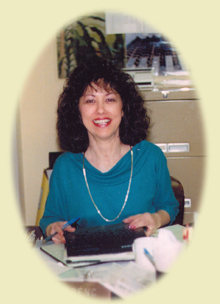 Copyright © 2005 Office Angels, Inc.